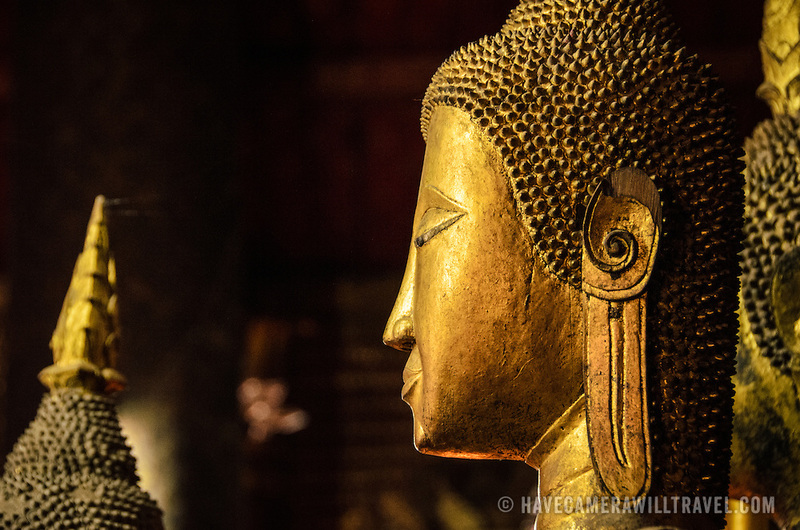 The profile of a Buddha statue at Wat Mai Suwannaphumaham. Wat Mai, as it is often known, is a Buddhist temple in Luang Prabang, Laos, located near the Royal Palace Museum. It was built in the 18th century and is one of the most richly decorated Wats in Luang Prabang.